Most organizations are average—they are stuck and not growing. Average organizations have average leaders. It is still standard practice for many organizations to promote employees for their technical skills, rather than their ability to lead and inspire other people. This practice perpetuates mediocre cultures. To elevate the culture of your organization, you must set the standard for leadership and performance. This starts at the executive level. The one thing the executive team must do today to positively impact the leadership quality of the organization is to declare that you will no longer promote for technical proficiency. To create an exceptional culture, you must start by creating exceptional leaders. This means instilling hiring and promotion practices that focus on leadership qualities, not technical skills. It also means we must train managers and executives to be influential, modern leaders. Organizations don’t transform, leaders do. Cultural transformation begins with the personal transformation of the leaders. The Advantage by Patrick Lencioni. This is one of my favorite leadership books of all time. Lencioni argues that cultural health trumps everything; that you can have the best marketing, sales, and technical abilities, but if you don’t have a healthy culture, it will impede your success. He shares tangible strategies for improving communication, team cohesiveness, and clarity in the organization. Firms of Endearment by Sisodia, Wolfe, and Sheth. Every executive leader should read this book. The authors share compelling statistics of how companies that focus on passion and purpose are significantly more profitable. If we focus on building relationships with people, we build successful, healthy organizations. Conscious Capitalism by Mackey and Sisodia. This book, co-authored by the CEO of Whole Foods, promotes authentic leadership that is centered around values and people. This modern philosophy is exactly what we need in business today—to not just focus on profits, but to focus on elevating how we do business with our employees and the world. Dare to Lead by Brenè Brown. We need more honesty in organizations, and we need brave leaders to step up and have the courage to lead with honesty and whole-heartedness. Brenè shares four skills to help leaders take off the armor so you can create organizations where employees feel safe, seen, heard, and respected. A must read! The 5 Dysfunctions of a Team by Patrick Lencioni. A classic book that identifies the five root causes of politics and dysfunction on teams, and how to overcome them. The dysfunctions are: absence of trust, fear of conflict, lack of commitment, avoidance of accountability, and inattention to results. Lencioni shares strategies for creating a high performing team. It is possible to create a culture of exceptional leaders. It won’t happen overnight, but with consistent effort, it can happen. The first step is to make a decision—everything great that ever happens always starts with a decision. If you want to be an exceptional organization, to make a bigger impact for your employees and your customers, make that choice. These five books will prepare your mindset for elevating your culture and provide specific strategies for making it happen. A lot has changed over the past thirty years–we can jump on Amazon and have anything delivered to our door in a day, we have hundreds of channels at our fingertips, and we can Google the answer to any question in a matter of seconds. But there is one thing that has not changed much over the years—mediocre leadership. While the world has moved at a fast pace, mediocre leaders and mediocre cultures are the norm. Sure, there are some influential, modern leaders in business today, but unfortunately, they are the minority. In organizations around the country there are still ineffective, traditional, uninspiring leaders. Why does the mediocre leader live on? Because most organizations and cultures are mediocre. It’s like a temperature setting in your house—if the thermostat is set to 68 degrees, when it gets warmer, the air conditioning kicks on to bring the temperature back down to its setting. This is what happens in organizational cultures every day. If some brave employee speaks up, tells the truth, displays excellence, or goes against the grain, the culture overtakes this one brave soul and brings him back to reality. A mass of mediocrity is no match for a few high performers. So how do you know if you have a mediocre culture? Below are five signs. Your managers spend more time and energy disciplining or tolerating low performers than focusing on the best employees. One sign of mediocre leadership is managers who spend a considerable amount of time dealing with poor performers. Great cultures don’t tolerate mediocre performance—they coach their employees to peak performance, and step in to coach and support them when they don’t meet standards. Great leaders make tough choices when necessary—they won’t keep an underperforming employee because they know the impact it has on their high performers and the overall culture. Mediocre leaders tend to avoid crucial conversations, and when they do take action, they approach the employee with a command and control style of leadership rather than approaching the situation as an opportunity to coach. Mediocre leaders avoid dealing with challenging situations because it’s uncomfortable. Rather, they take the path of least resistance by accepting complacency and settling for less. Mediocre managers reward compliance rather than honesty and candidness. They do not speak up, because they don’t want to rock the boat. They make excuses for low performers and are slow to take action. Influential leaders realize that although difficult conversations are uncomfortable, they are necessary in creating a high-performance culture. They don’t delay action. They focus on the bigger picture by dealing with issues early, so they don’t develop into larger challenges. Exceptional leaders are bold and courageous leaders. Your managers are traditional, not modern. Mediocre managers employ a command and control style of leadership. They don’t see the importance or value in employee engagement; they think employees are rewarded by their paycheck. Mediocre managers don’t see the value in feedback, empathy, coaching, or appreciation. They tend to micromanage and drive results through fear. Influential leaders understand that employee engagement leads to higher productivity, which leads to results. Exceptional leaders spend most of their time coaching, appreciating, supporting and developing their employees. 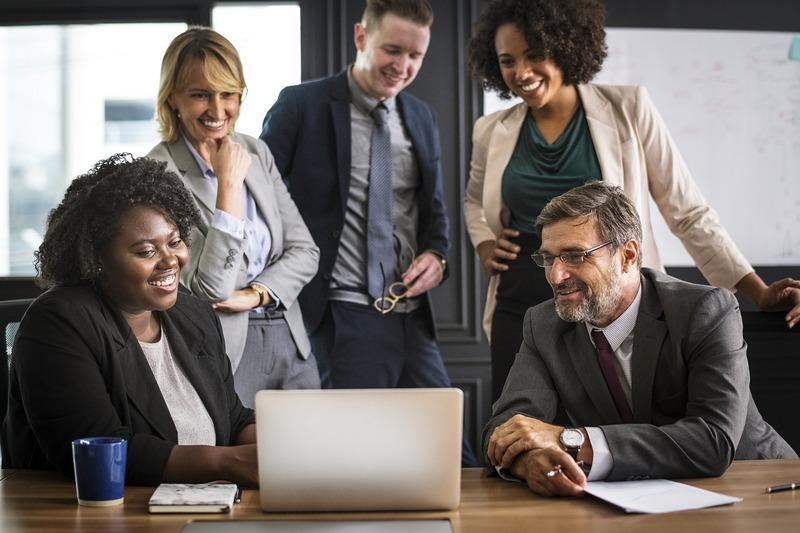 They understand that they, as the leader, have the ability to create an environment that fosters teamwork and collaboration, and by connecting with each employee and adjusting their management style, they can develop employees to consistently deliver their best performance. Your managers like doing technical work, not leadership work. Mediocre leaders spend most of their time putting out fires, dealing with interruptions, and drowning themselves in lower level technical work. They often complain that they don’t have enough time to coach employees, give feedback, plan, or be strategic. The reality is, most mediocre leaders don’t enjoy the “leadership work” and would much rather deal with technical work because they equate their value with their technical expertise. And this is precisely why they are not effective leaders. Exceptional leaders understand the value they contribute is how they lead their team. They spend more of their time thinking about the future, asking clarifying questions, coaching their employees through challenges, and communicating a clear path. They avoid the temptation to get drawn into the technical work they are an expert in, and make developing employees, planning, and coaching their priority. They are on top of their most important priorities, and create clarity for their team by consistently communicating those priorities and checking in on progress. You have a hard time keeping high performers. Mediocre managers create mediocre teams. They accept complacency, so high performers become frustrated by the lack of progress and results, and ultimately adjust their level of effort down, or leave the organization. Mediocre managers perpetuate average performance. Since they themselves are average, they don’t instill higher levels of performance in their staff. Exceptional leaders set clear standards and deadlines, and expect their employees to work at a high level. They challenge their teams in a positive way, and reward them for hard work. They focus more time on making sure they keep their best employees, and send the message that average performance is not acceptable. A high-performance culture starts with the actions of the top leaders in the organization. It takes bold and courageous CEOs, executives and managers to step up and change the temperature setting of the culture and declare that mediocrity is no longer acceptable. Exceptional leaders don’t just talk about creating a high performing culture, they take the actions necessary to create the culture. People don’t follow what you say, they follow what you do. If you don’t reward exceptional performance and instead accept mediocrity, your culture will remain average. If you declare a higher standard, and take action by rewarding high performers and coach the low performers to a higher level of performance or out of the organization, you will begin to transform your culture over time. Leadership is not easy. It requires consistent focus on people and the greater organization. It requires having courageous conversations for the sake of the culture. Exceptional leaders are the caretakers of the culture. They understand that every decision they make or don’t make has a lasting impact on the culture. They choose every day to step up and lead at a higher level. It was a week before Christmas, and my three kids were reenacting The Nutcracker in our living room when a fight broke out. My seven-and-a-half-year-old daughter, Olivia, started yelling at her younger brother because he didn’t announce her performance the way she wanted him to. She screamed at him to turn off the lights and start over, and Luca left the room in tears. As I attempted to intervene and bring some peace to the situation, Olivia started bossing her little sister around, scolding Clara as she touched the props Olivia had put out for her own performance. I tried to calm a now crying Clara, and told Olivia that she needed to play nicely with her brother and sister. “They weren’t doing what I told them to do!” she yelled, obviously frustrated. When I first heard that declaration, there was a part of me that wanted to rally around that mantra, much like the initial positive reaction I have when I see those t-shirts made for young girls that say, “Future CEO” or “Girls Rule the World.” But there is a fundamental problem with these messages. While these phrases are catchy, should we really be engraining in our children that being a leader just takes a cool t-shirt and ruthlessness? That if you want to be a leader or a CEO, all you have to do is declare it and you can be anything you want? This falls short of the reality that not everyone is meant to be a leader. There is much more to leadership than directing people around. Ask any professional in a leadership role, and I guarantee they will say that leadership is much harder than they expected. We need to stop telling girls that being bossy is leadership. In fact, these are the exact opposite behaviors that effective, influential leaders possess. Leadership is listening, supporting, collaborating, challenging others to work at a high level, guiding by providing clarity, influencing by creating a vision, and having the courage to be honest and have tough conversations. Leadership is not dictating, controlling, micromanaging, intimidating, or just about getting results. True leadership is people-focused, not task-focused. I do believe there are still challenges for women in the workplace, and that biases do exist. There certainly are still times when confident and bold women are viewed negatively in the workplace, when a bold and confident man is seen as effective. But I don’t believe that “bossy” is effective—no matter a leader’s gender. In my work with executives and managers, one of the most problematic issues in the workplace are people in leadership roles who are not effective because they have challenges with people. Most often these managers and executives were promoted for technical proficiency, not for leadership proficiency. And most of them were not provided any leadership training prior to being promoted. Many of them have been in leadership roles for decades, but as the landscape of work changes and employees seek more meaning and engagement in their work, the flaws of task-based management have proven ineffective. Because leadership is about getting results through relationships with people. Bossy is ego-focused, and leadership is others-focused. 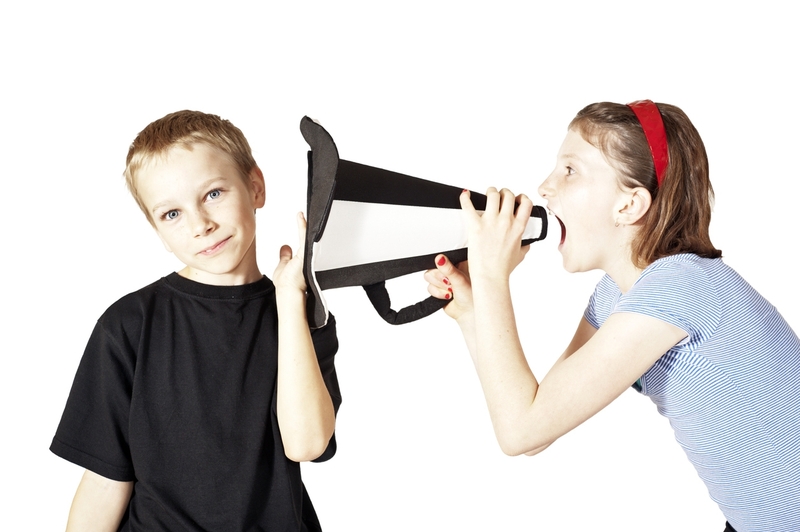 So, I want every boy, girl, manager, supervisor, and CEO to know—bossy is not leadership. As for my daughter, she does exhibit skills that—if channeled properly—may someday develop into good leadership skills. She is confident, bold, and determined. I am doing my best to help develop her skills over time by providing feedback and guidance. But is her tendency to take control and order her brother and sister around leadership skills? Ask her brother, and he will surely tell you that she is just plain bossy. I believe most employees want to do a good job. They want clarity on how to be successful and what is expected so they can deliver results. Yet many leaders don’t communicate in a way that brings out the best performance in their employees. There are often little things we do and don’t do as leaders that get in the way of effective communication and results. In many organizations, accountability has a negative connotation. Many leaders look outside themselves for the problem, and focus on blaming when things go wrong. These managers talk about “holding people accountable” and implement disciplinary action to force improvements. This approach often fails because it leaves the employee feeling disengaged and unmotivated. Accountability is really about taking responsibility for your actions. You can’t control someone else. But you can control your choices and behaviors. Accountability is an attitude. It is one of the most important characteristics of success. It is a very powerful tool that can create more success in life and work. One of the most important ways we can instill accountability on our teams is to model it ourselves. The small things we do every day can either create trust and strengthen relationships, or chip away at trust and damage relationships. The trust you build can strengthen your integrity and credibility, or lack of trust can damage your integrity and credibility. Every interaction you have with another person impacts the relationship in either a positive or negative way. When you have positive experiences (do what you say, show up on time, follow through), you create a positive connection. When you have negative experiences (don’t follow through, show up late), you create a negative connection. These interactions impact the relationship, as well as the team. Another way leaders can instill accountability is to create clarity for employees. This means using language that is specific and clear rather than vague and confusing. In organizations, we use vague and weak language every day. Words and phrases like “ASAP”, “soon”, “right away”, and “should” get in the way of clarity and results. To get better results in life and in your work, you need to use positive and specific language. When communicating specific tasks or projects, make sure you are communicating all the information necessary for employees to be successful. Most leaders focus on what needs to be done and neglect to communicate why it needs to be done and by when it needs to be done. If you want your team to produce better results, reflect on how you are communicating. Shifting to clear and specific language, and modeling ownership and accountability yourself will promote a positive sense of ownership and accountability in your team. I once worked for a credit union where employees dreaded calling the accounting department. There was an accounting specialist who was not friendly and often snapped at you if she felt you should know the answer to a question. She had been working there for over 20 years and had a reputation of not working well with people. But nothing was ever done about it. When she decided to retire, it was like the organization breathed a collective sigh of relief. The negative impact she had on the organization was gone, and it instantly elevated the working environment. 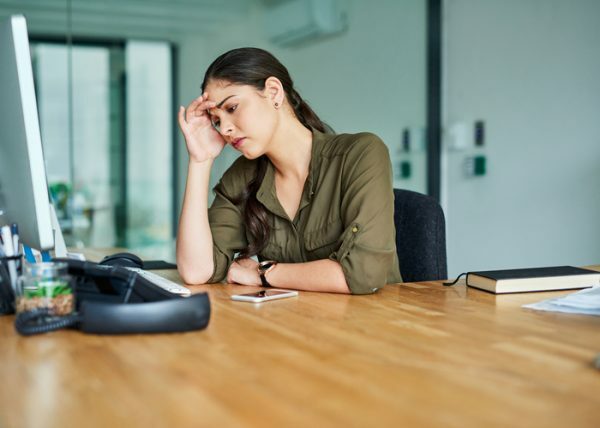 Holding on to a negative employee has many consequences—it can be destructive to the team, frustrate other employees, and create a negative working environment. Sometimes the best course of action is to terminate. Deciding to terminate an employee can be a challenging and emotional decision. In my experience, most leaders avoid the decision and hang on to poor performers entirely too long, hoping the situation will get better. Instead, the situation usually escalates and causes more damage than if we had taken action earlier. When we keep underperforming employees, we undermine a healthy culture. I believe keeping low performers contributes to the leadership crisis we have in our organizations today. By not effectively dealing with performance issues, we create a cycle of mediocrity that ultimately damages exceptional cultures. You simply cannot create an exceptional culture if you tolerate low performance and negative people. Netflix is an example of a company that has created an engaged workplace built around excellence. In fact, one of their practices is, “adequate performance gets a generous severance package”. They believe a great workplace is “stunning colleagues”. Not mediocre, average, or solid colleagues. Stunning colleagues. This is a bold leadership approach that most leaders and organizations are not willing to take a stand for. Yet to create exceptional cultures, you need exceptional people. It is a disservice to your top performers to keep underperforming employees. Yet leaders often rationalize why to keep low performers. There are typically two reasons: tenure or results. Tenure—the employee has been with the organization a long time, which makes it hard to take action. The leader may have a personal relationship or friendship with this employee, which contributes to the challenge. So, the organization works around the employee, thereby lowering the standards. Results—the employee performs the technical aspects of the job extremely well. They deliver on the goals, but don’t get along with people. Perhaps they are negative or aggressive, but we overlook it since they achieve tangible results in other areas. To create a healthy, high performing organization, you need to have standards in place that take into consideration not only superior results, but also superior interpersonal skills. In exceptional cultures, you need to have the whole package. 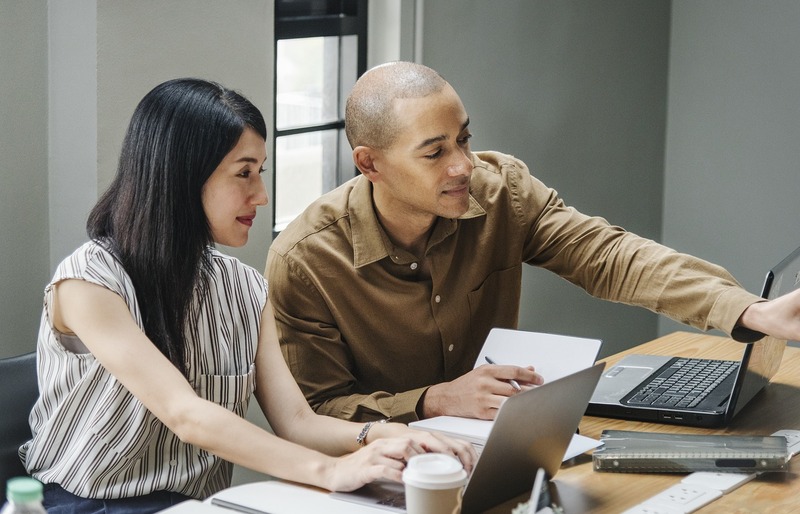 It is not enough to deliver on goals; employees must also have the qualities and attributes that contribute to a healthy culture—the ability to get along with people, foster positive relationships, and collaborate. So how do you know when it’s time to terminate an employee? As leaders, we have a responsibility to do all we can to bring out the best performance in each of our employees. And the employee also has a responsibility to live up to the values and expectations established by the organization. I believe most people want to do a good job. And once in a while, you will have someone who may exceed the technical job requirements but is a negative influence in the organization. Negativity, complaining, and blaming have no place in a healthy culture. They can quickly become a virus that is hard to bounce back from. These are people to take swift action on and move out of your organization—pronto. For all other performance issues, there are things a manager should consider before terminating an employee (I’m not talking about legal issues to consider in this article—you should always consult an employment attorney if you are concerned about terminating). As a leader, you should determine if you have done your best to help the employee succeed. Is the performance issue related to aptitude (knowledge and skills), attitude (confidence, focus, enthusiasm) or resources (equipment, time)? Understanding the underlying issue that is contributing to low performance can help you determine how best to work with the employee. You may decide that a training class may be necessary, or a higher-level intervention like working with a leadership or executive coach. Does the employee understand what is expected? Beyond the technical aspects of the job, have you been clear about the qualities and attributes that are required to be successful (collaboration, positivity, ownership, etc.)? Have you met with the employee to give honest and clear feedback on what is not working? Have you provided guidelines about what needs to improve to meet expectations? It is our responsibility as leaders to give employees information about their performance. Beyond providing feedback, schedule time to coach the employee around the performance issues. While each situation is unique, this typically involves the manager working with the employee over a period of time to provide resources, suggestions, and instructions. Sometimes asking the right questions can lead the employee to discover the necessary steps to better performance. Once you have taken the steps above and done everything you can as a leader, it is up to the employee to take initiative to improve performance. If your efforts fail, it may be time to part ways. In my experience, most leaders don’t take action quickly enough. Poor performers undermine your culture, and keeping someone who does not meet expectations is doing a disservice to them and to the organization. Exceptional cultures are made up of exceptional people. If you want to elevate the culture in your organization, don’t delay action on performance issues. Your top performers will thank you. I’ve heard about the benefits of meditation for years, and about seven years ago, I bought a book on how to meditate. It sat on my bookshelf for several more years as I accumulated additional books on meditation and mindfulness. Eventually, I started reading a few of these books, becoming more knowledgeable on meditation techniques and practices. But I still wasn’t meditating! It wasn’t until two years ago that I finally took action and enrolled in a meditation course. Once I started actually doing meditation, I started to experience the benefits and now I meditate (almost) daily. All those years of learning, studying, and contemplating meditation didn’t bring results; it was taking action that was important. One of the most important characteristics of successful people is that they have a bias for action. What holds many professionals back from success is spending too much time planning, preparing, thinking, organizing, analyzing and procrastinating, and not taking action. Action is required for success. This doesn’t mean that successful people don’t plan and organize, but once they have a plan in place, they don’t wait for things to be perfect to move into action. Leadership is an action. Leadership is not a title or a position. It’s not a hat you put on every day when you come into the office. True, exceptional leadership requires you to do something. It requires stepping out of your comfort zone and making your vision and goals a reality. What does leadership in action look like? Providing meaningful feedback to your employees—both positive and constructive. Coaching your employees to bring out their best performance. Challenging that employee who tries to upward delegate a task to you, instead of doing the task yourself. Walking around and connecting with each individual. Building relationships with your colleagues. Modeling the behaviors and actions you expect of others. Communicating clarity about goals and sharing what the success factors are. Following up and following through—doing what you say you will do. Being accountable and taking ownership. Mentoring and sharing knowledge to develop your staff. Prioritizing people—scheduling coaching sessions and check-ins with your staff. Leadership is not sitting in an office and creating a strategy and business plan. While that’s an important first step, it is not what brings results. A great vision on paper does nothing. A great vision communicated clearly and repeatedly through multiple channels inspires collaboration and results. Great leadership requires action. I am often asked by participants in my leadership programs how you can build confidence. Whether you are new in a management position, or a seasoned executive, the best way to build your confidence is to take action. To succeed at anything in life, you have to first do something. If you stand on the sidelines and play it safe, you will not learn anything. In order to get feedback and learn from mistakes, you must make mistakes. 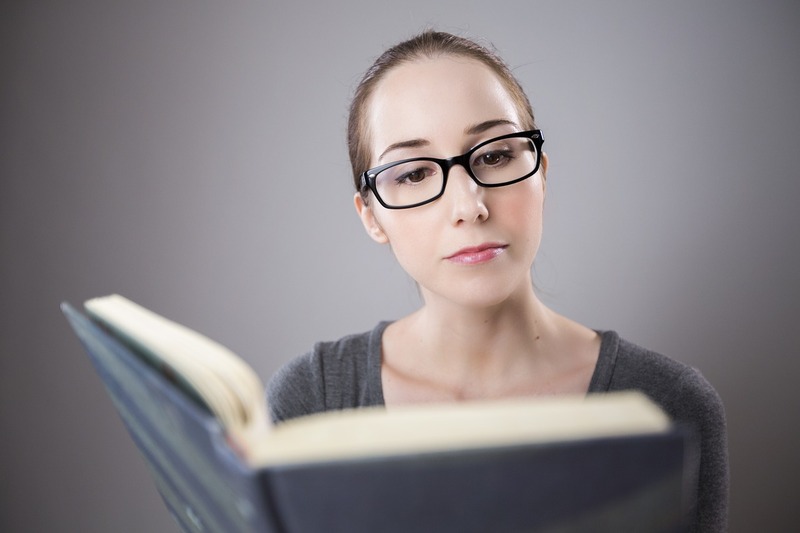 You can read hundreds of books on leadership and attend classes on how to be a good manager. But if you don’t put that knowledge into action, you will not see the results. Leadership requires effort. 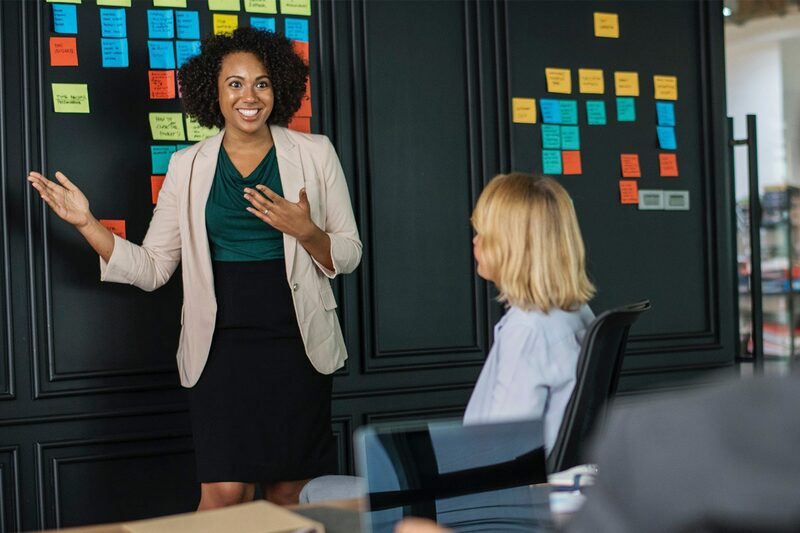 It’s not hard to schedule coaching sessions, model great behaviors, take ownership, and connect with your employees. But it’s easy to not do these things. Successful people don’t have more time in the day than anyone else. They understand that an essential skill for success is to prioritize and take action on what is important. That is how you build your knowledge, skills, abilities, experience, and ultimately your confidence. Instead of reading this blog and closing your browser, take two minutes right now to take action on an important task that will lead you to the results you want. You will be one step closer to success. I love this time of year—warm weather is (almost) here, the flowers are starting to bloom (unless you’re in the Northeast!) and Cadbury Cream Eggs are available in stores. I have a weakness for those chocolaty eggs, and my family and friends know it. On the way home from the gym last week, I stopped at the store to buy (and quickly eat) two Cadbury Cream Eggs. When I arrived home, my husband had left me a gift—a box of four cream eggs. I indulged some more. With Easter over, my husband and I are now on a health detox to get back on track. A detox helps to rid your body of toxic or unhealthy substances. A detox cleanses your body to reset your metabolism and feel more energized and healthy. As leaders, most of us tend to slip into negative habits that don’t serve us. These habits keep us from operating at an exceptional level. Much like a health detox leaves you feeling more refreshed, focused, and more energized, by identifying our unhealthy leadership habits, we can detox old or negative leadership habits, so we can work at our peak and feel more focused, energized, and successful. Lack of focus: most leaders struggle to prioritize their many projects and tasks, and feel overwhelmed. Lack of delegation: many leaders struggle to operate at a strategic level. We often think the value we bring to the organization is our technical expertise, but often that expertise is what holds us back. To be an exceptional leader, we need to focus on leading and influencing our team towards results—through coaching, developing, and giving meaningful feedback. As a leader, you are a facilitator, not a fixer. Meaning, a leader should focus on facilitating peak performance from the team, rather than getting in the weeds and fixing technical issues. 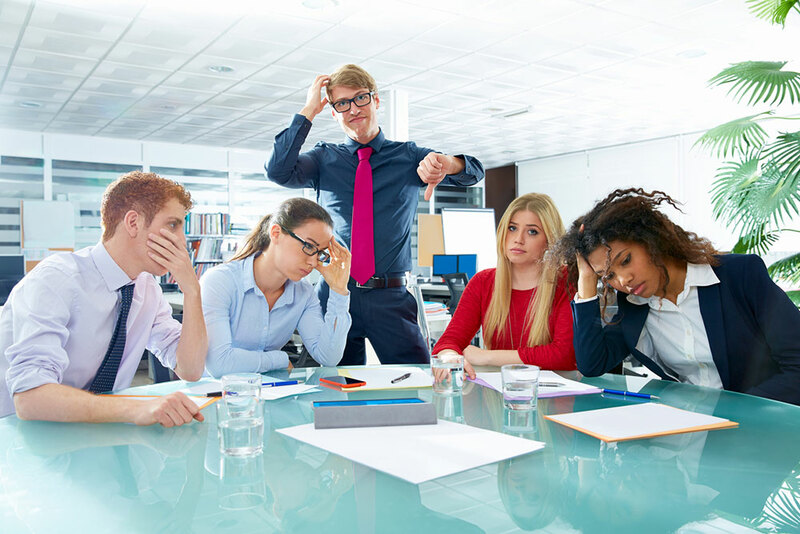 Lack of team engagement: Most leaders are so busy, that the people side of business—coaching, feedback, development conversations—gets put on the back burner while they deal with operational issues. Or perhaps that struggling employee is taking up most of your time and resources. Many managers take their best employees for granted and don’t invest time coaching or developing them. To begin your detox, read through the sections below to eliminate your negative leadership habits and replace them with positive habits that will support your leadership success. The ability to focus is the most important skill for leadership today. To be able to focus, you need clarity. If you don’t have clarity around the strategic, departmental, or daily goals, you will spin your wheels, spend your days putting out fires, and not get anything of value accomplished. Yet most leaders operate this way. Most leaders are activity focused, not results focused. If you don’t have clarity as a leader, this trickles down to your staff. They spin their wheels and struggle to know where to put their focus. You can be the smartest, most strategic, highly emotional intelligent leader, but if you can’t get the right things accomplished, and you can’t focus your team to get results, you will never be successful. What are some habits that contribute to lack of focus that you need to detox? What are two positive habits you can implement to offset the negative habits? The ability to delegate is one of the most important habits of successful leadership. In fact, lack of delegation is often the primary reason leaders aren’t successful. There are many reasons leaders don’t delegate, but one common reason is they get satisfaction and a sense of accomplishment by staying in the technical work. Leading at a strategic level is necessary for effective leadership. 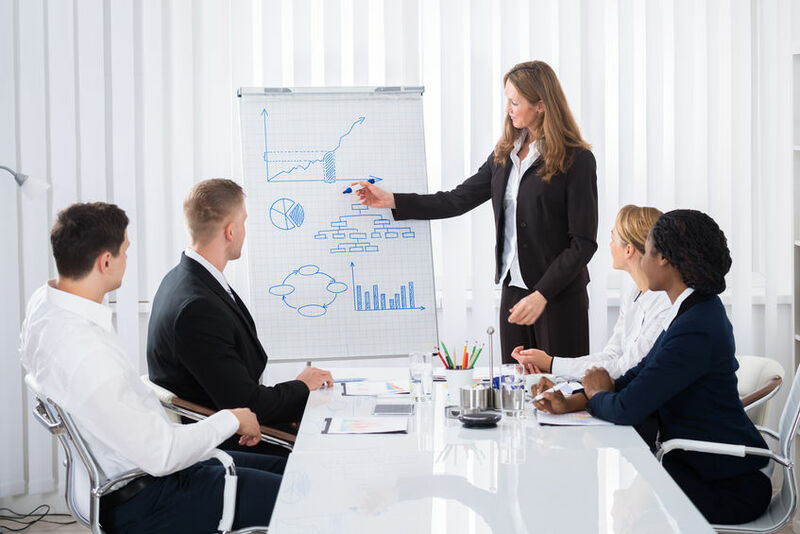 Yet for many people, the strategic elements of leadership like coaching and developing employees, creating strategic plans and solutions, and engaging and leading a team feel less tangible. Staying in technical work feels more rewarding because we get the immediate satisfaction of checking things off a list. When you delegate, you multiply your productivity, AND you develop others on your team. What are some habits that contribute to lack of delegation that you need to detox? Because most leaders feel overloaded and overwhelmed, they aren’t purposeful in their leadership. They don’t prioritize coaching and developing employees, which often leads to lack of team engagement. What defines engagement? When employees invest a lot of energy in their work: physical, mental and emotional energy. An engaged employee is a person who is fully committed to and enthusiastic about his or her work. Many leaders think engagement is about happy employees. It’s not about just having happy employees, it’s about having more productive employees. You want engaged employees because engaged employees work hard. If you want engaged employees, you need to be an engaging leader. What are some habits that contribute to lack of engagement that you need to detox? Small habits are the foundation of success. Most people underestimate the power of small steps that compound each day. If you detox the negative leadership habits that don’t serve you and focus on creating positive habits in the three areas this year, you will elevate your leadership and your team, and set yourself up for exceptional results.